A series of three bootlegs was issued within a few months time, featuring material from TD's tours of Great Britain in the early eighties. The first 40 minutes of TD's concert at Preston Guildhall, November 5th, 1980 are on Undulation, while another 20 minutes of this concert are on the bootleg Space Trucking. A limited edition of 5 numbered copies of "Undulation" has popped up with a colour front inlay. CD bootleggers put out Undulation in digital format in 1992 under the misleading title Soundtrack For Fantasy, Live in Detroit, USA "Undulation". The CD case contains a simple coloured insert. The back insert wrongly states "Live in Detroit, USA". On the backside insert, the edition of the disc is given by 500 copies, but it probably is up to 1,000. The origin seems to be in Germany. The recording quality is very good. In 1993 copies of the Undulation LP appeared, titled Edison's Last Playoff and alleged to be limited to 50 copies. Obviously only a few copies do exist, handmade by a fan or a dealer to offer them as swap material for rare items or to make much money out of them. The original matrix number from Undulation has been scratched out from the vinyl, and a new code EDLPO US77-A/B appears now. 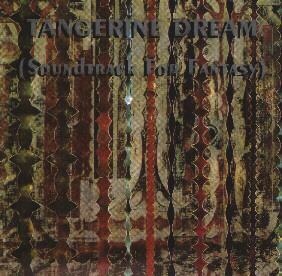 This bootleg became obsolete due to the release of Tangerine Tree Volume 62: Preston 1980.